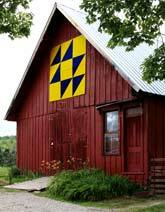 The following are quilting shops in Ohio listed by region. Listings are subject to change and do change frequently. Before planning a trip, it is best to phone ahead to make sure your favorite Ohio quilting company is still located in the same place. Learn how to repair your own sewing machines, or setup a small business. 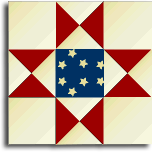 The Women of Color Quilters Network is a non-profit organization founded in 1985 by Ohio resident Carolyn L. Mazloomi, a nationally acclaimed quilt artist and lecturer, to foster and preserve the art of quiltmaking among women of color. In 2003 Dr. Mazloomi was awarded the first Ohio Heritage Fellowship Award. Ohio Heritage Fellows are among the state's living cultural treasures. Educational projects and workshops foster exposure to the arts, creative development, and improved self-esteem. These programs present the benefits of quilting to audiences of all ages, income levels, ethnic background and learning abilities. 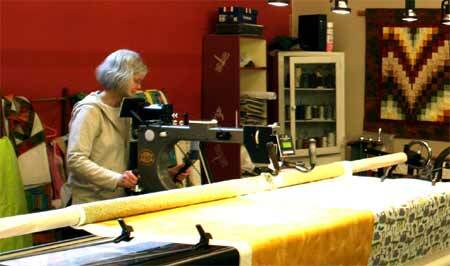 Contact us directly with information about your quilting store.